Last weekeend, the Multipurpose Guadalajara Palace of Guadalajara hosted the 18th Spanish Artistic Roller Skating Championship of Show Groups, with participation of more than 600 athletes. 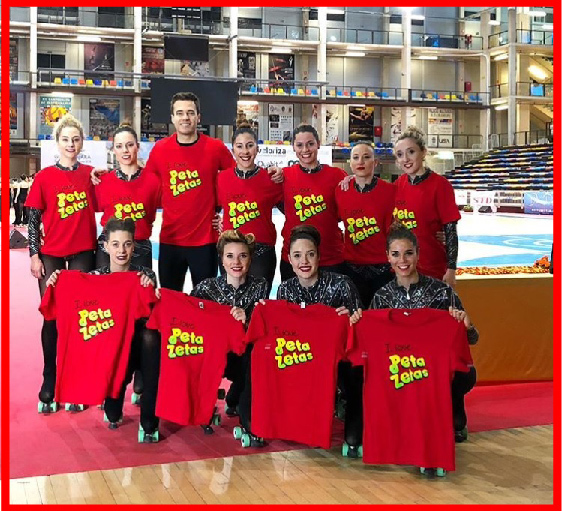 Peta Zetas®, as sponsor of the CPA l’Aldea, wants to congratulate the club for their well deserved title of Spanish Champions in the Small Show Group category. Thanks to the effort and time dedicated to their show “Without the Sun”, they obtained a magnificent overall score of 95.20. 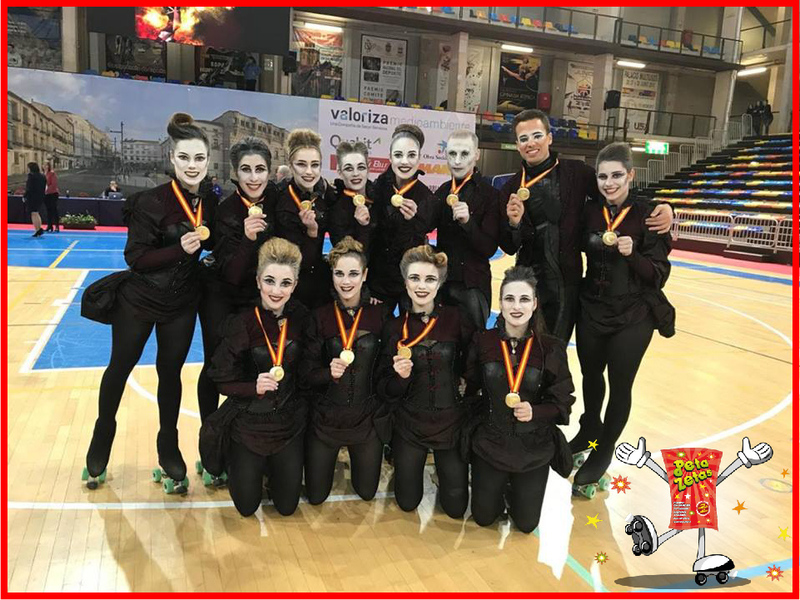 This championship is prior to the European tournament of Reggio Emilia, which will be held next May 1-5 in Italy, and prior to the World Roller Games World Championship to be held in July in Barcelona. Thus, the CPA l’Aldea is classified for both. It is important to highlight the high level of current Spanish Artistic Roller Skating, with many of their teams in the international elite. Peta Zetas®, as a sponsor, encourages CPA l’Aldea to achieve same or even better results than last year, when they managed to be 2nd in the European and 3rd in the World of Small Show Groups.